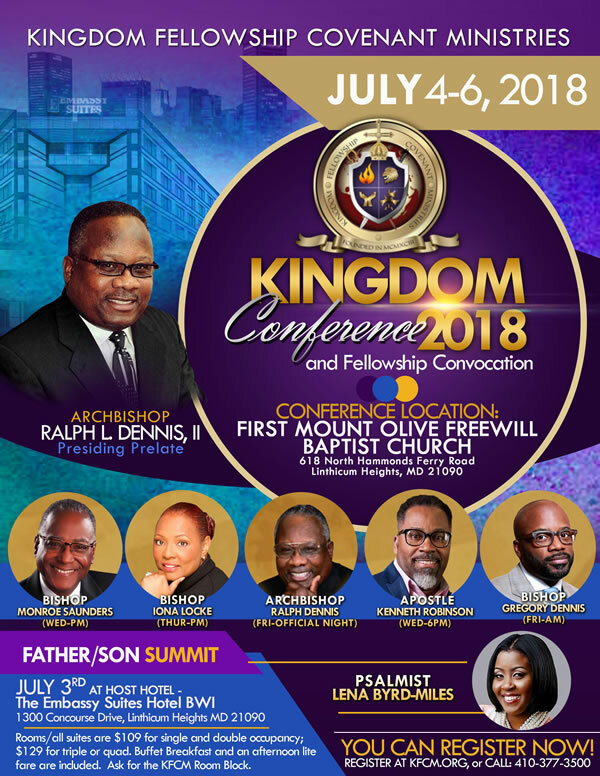 Once a year in July, Kingdom Fellowship Covenant Ministries, hosts a conference. This is not just another conference or a church convention making annual reports. This meeting has been designed to be a blessing to the Body of Christ at large, not just the KFCM family. We are so grateful that God has always met us during this time, and you don’t want to miss it! Be sure to mark your calendars each year to attend this conference that will bless your ministry and your home.